An eco-friendly version of our popular jump. 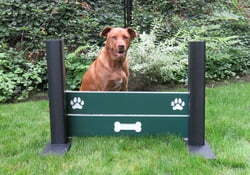 Versatile mounting options make this ideal for public/private dog parks, doggy daycares, boarding facilities and more. The Double Wall Jump is suitable for both large and small dog areas of the park. 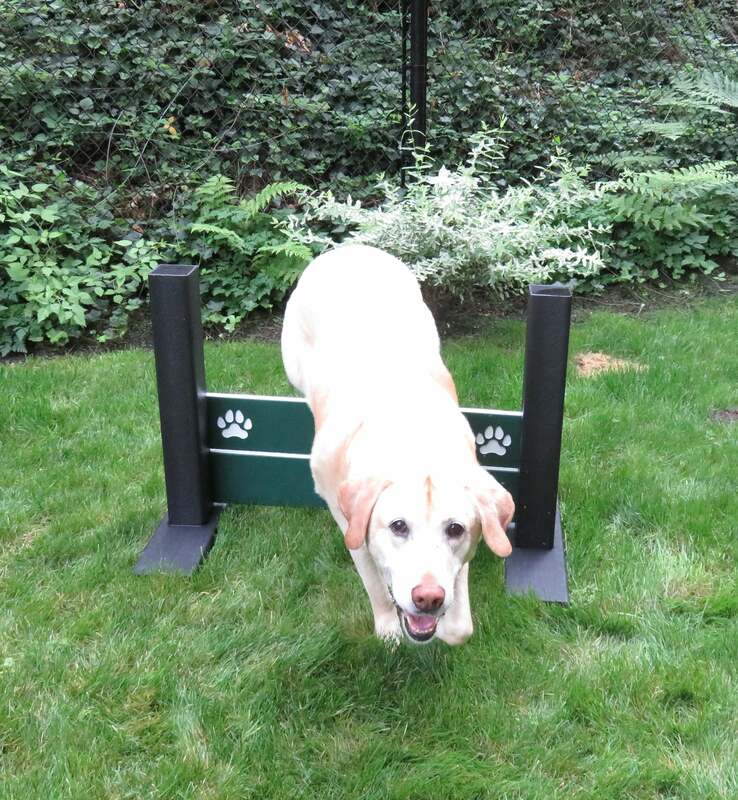 Wall Jumps are supported by rust, crack and split-proof LDPE posts. 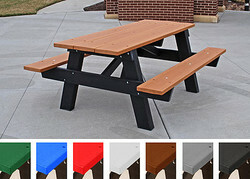 The 3' long planks are made from post-consumer recycled polyethylene plastic (milk jugs, shopping bags, etc.) and have the same height/width as our standard Wall Jumps. 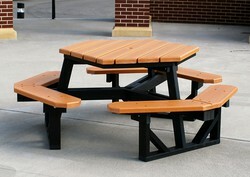 Paw print and dog bone details are precision routed on each plank for added depth perception.